There are so many different types of water sports, there’s sure to be one you will enjoy. 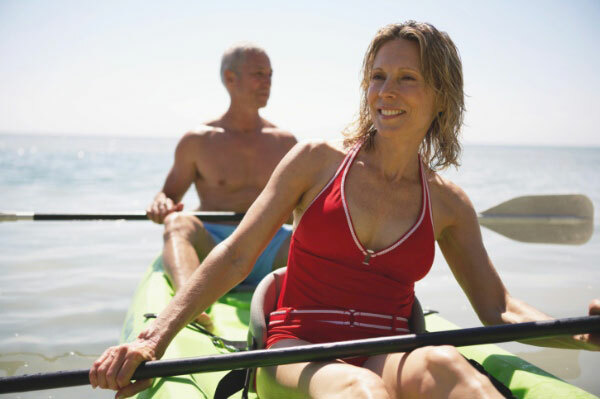 Some, like kayaking and paddleboarding, are peaceful and relaxing and yet give you an upper body workout, depending on how you paddle and how long you’re out. If you’re experienced with water sports on the calm water you may find ocean kayaking and paddle-boarding to be a bit more challenging. Renting a kayak or paddleboard and heading out for an afternoon is a great way to explore the local waterways. If the big ocean is more than you want to tackle because of the waves, check out the Intracoastal Waterway. Or put in at Jinks Creek and follow the channel down to Tubbs Inlet. There’s a lot of exploring you can do around this area and if you enjoy nature be sure to check out what’s hanging out along the shoreline. Following are a few local businesses where you can rent kayaks, paddleboards, and other gear during your vacation to Ocean Isle Beach, North Carolina. Stop in to visit them and take a look at what they have available. A full-service rental shop that offers top quality single and tandem kayaks, surfboards and stand up paddleboards. We only buy the best equipment and service each item each time it is returned assuring you a fun-filled vacation. Both single and double kayaks are available for the ½ day, full day, 3 days, 4 – 7 days, 2 weeks and 3 week period of time. In addition, stand up paddle boards, surf boards, and body boards can also be rented. Check out their live webcam here! 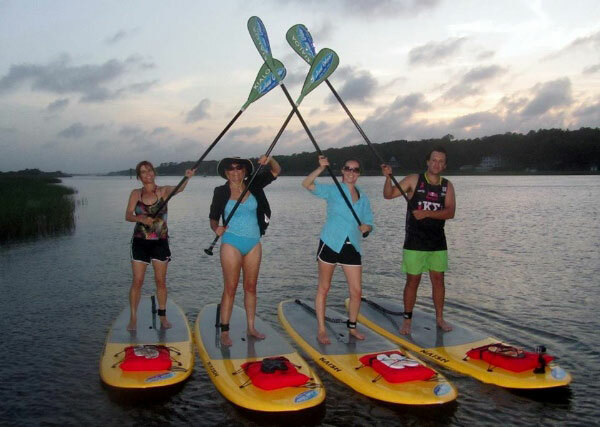 Private stand up paddle board tours for all skill levels, ages 13 and up. Newcomers to the sport will be taught how to stand on the paddle board, proper paddling techniques and how to maneuver the board. After this, the tour will begin. All equipment is included: 9’6″stand up paddle board and a carbon paddle.